The Centre on Wednesday ruled out granting more independence to the Election Commission of India to make election rules and code of conduct or having an independent secretariat and told the Supreme Court that no change is required in the existing electoral system. The Centre said so in an affidavit filed in response to the petition moved by BJP leader and Supreme Court advocate Ashwini Kumar Upadhyay pressing for the need to strengthen ECI by conferring rule-making authority on it on the lines of the rule-making authority vested in the Supreme Court of India to empower it to make election-related rules and code of conduct. Upadhyay has in his petition also urged that an independent secretariat be provided to ECI and its expenditure be charged on the consolidated fund of India on the lines of the Lok Sabha / Rajya Sabha secretariat. Besides, he has sought similar protection to the Election Commissioners (EC) as the Chief Election Commissioner so that they shall not be removed from their office except in like manner and on the like grounds as CEC. The Centre’s stand against any change in the existing system comes almost a fortnight after the ECI in its affidavit told the court that it has been pressing for more independence and more powers since 1998. The Centre said the prayer is misconceived and in the teeth of the binding judgment of the SC in TN Seshan vs Union of India which it said is being misread by the petitioner when the court had upheld Article 324(5) which provides for different manners of removal of the CEC and the ECs. It emphasized that since the ECs are not intended to be permanent appointees, they could not be granted the irremovability protection of the CEC, a permanent incumbent and therefore, they were placed under the protective umbrella of an independent CEC. It also said that the Goswami Committee report nowhere states that there should be a minimum of three members in the Commission and reiterated that the very existence and appointment of an EC is to be determined by the President whereas the CEC is a constitutionally-mandatory permanent post. “There is no justification to equate the removal provisions of CEC who is a permanent Constitutional functionary, with that of ECs, if any,” it said in the affidavit, adding that “the ECI is functioning smoothly in an independent manner and there is no material placed on record to necessitate the amendment proposed in the petition”. It once again referred to SC verdict in TN Seshan case so say that the court had observed that the provisions that the ECs and RCs once appointed cannot be removed from office before the expiry of their tenure except on the recommendation of the CEC ensures their independence. 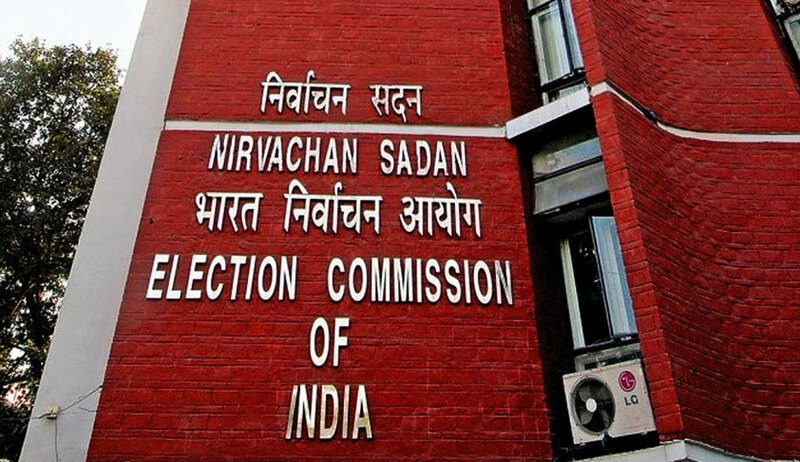 With regard to the prayer for an independent secretariat to the ECI at par with the Lok Sabha/ Rajya Sabha secretariat, the Centre said, “Comparison of secretariat of ECI with that of secretariat of Lok Sabha or Rajya Sabha and the Supreme Court is not apposite. “The Lok Sabha or Rajya Sabha represent the legislative arm of the government whereas the Supreme Court represents the Judiciary which must necessarily be kept separate in line with the doctrine of separation of powers which is the basic structure of the Constitution of India. The ECI is an independent body meant to implement the laws made by Parliament regarding conduct of free and fair elections. Thus, the ECI cannot be placed at par with the Parliament or with the Supreme court,” it said. On this prayer, the Centre said the expenditure of Lok Sabha or Rajya Sabha is not charged on the Consolidated Fund of India. “A Bill was introduced in the 10th Lok Sabha to provide for charging expenses of ECI on the consolidated fund of India which lapsed without being passed on the dissolution of the 10th Lok Sabha in 1996,” it said. The Centre referred to a reply to a Parliament question by an MP relating to budgetary allocation to ECI on the lines of UPSC in 2016 wherein it was informed that presently there is no proposal under consideration to make budgetary allocation for Election Commission of India on the lines of UPSC. The Constitution does not envisage budget allocation for ECI to be charged to the CFI. Since its establishment, the ECI is functioning smoothly in a free and fair manner and no material has been placed on record to justify the proposed constitutional and statutory amendments. The petition also prays for powers to ECI by conferring rule-making authority on it on the lines of the rule-making authority vested in the Supreme Court of India to empower it to make election-related rules and code of conduct. On this, the Centre has informed the court that the prayer is vague and has no basis and that the law commission also has not made any such recommendation. It said Article 324 of the Constitution empowers the ECI with superintendence, direction and control of the preparation of electoral roll for and conduct of elections to Parliament and state legislatures as well as elections to the offices of the President and Vice President of the country. Article 327 of the Constitution empowers Parliament to make provisions with respect to all matters relating to or in connection with elections to either House of Parliament or the state legislatures. Section 169 (1) of the Representation of People Act 9 empowers Central government to make rules for carrying out the purposes of the Act in due consultation with the election commission. In contrast, the position with respect to the Supreme Court is substantially different. Under Article 149, subject to the provisions of any law made by the Parliament, the Supreme Court has been specifically empowered with the approval of the President to make rules for regulating generally the practice and procedure of the court. Similar powers have been specifically given to the high court under Articles 227 and 229. With regard to the rule-making authority on ECI as with the Supreme Court as recommended by the Law Commission of India in its 255th report, the Centre said Article 327 of the Constitution power the Parliament to make provisions with respect to election, Section 169 (1) of the RPA empower the Central Government to make rules for carrying out the purposes of the Act after due consultation with the ECI. Article 135, 227 and 229 of the Constitution provides that subject to the provisions, any law made by the Parliament, the Supreme Court and the high court have been specially empowered with the approval of the President. It submitted that “essential legislative function which consists of determination of the legislative policy cannot be delegated and delegated legislation cannot be exercised against the legislative policy of the statute and cannot change the essential features of the same” while adding that “no change is required in the existing regime”.